This place is the real deal. They have a huge tortilla press in the middle of the eatery, where they make the best tortillas in NYC. 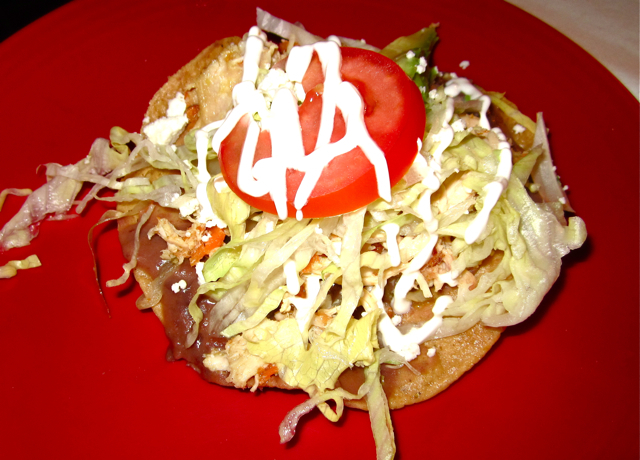 Many restaurants satisfy their tortilla needs here. This is a no frills, cheap eats wonderland, offering incredible tamales ($2.50), tacos ($7 for 3), and tostadas (pictured – $3). Buy extra tamales, they freeze well. Their chicken enchiladas in mole are also delicious. Sit outside on the patio with some cervezas or horchada. This is a totally authentic experience, but is also a really relaxing neighborhood favorite. 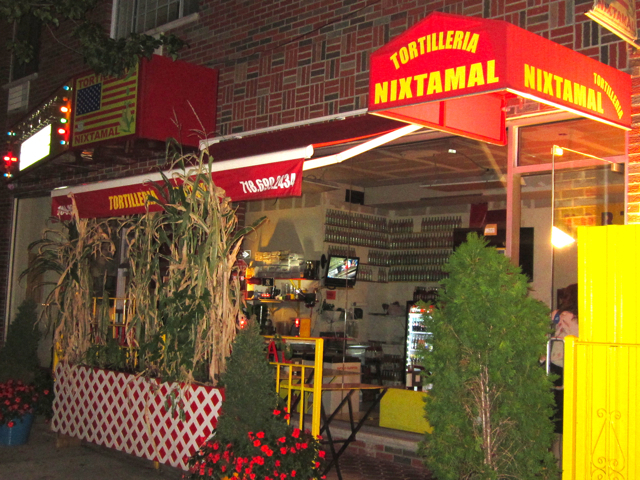 As Tortilleria Nixtamal‘s website say it is: “The essence of Mexico without going to the airport”. Next time I’m definitely trying the shrimp and mango tacos. Thanks, Jenn! The tortillas also freeze very well. Buy them by the pound.